Anyone who ever heard Erich Wolfgang Korngold play the piano, whether live or on recordings, has always been quick to remark about the incredible orchestral quality of his playing. 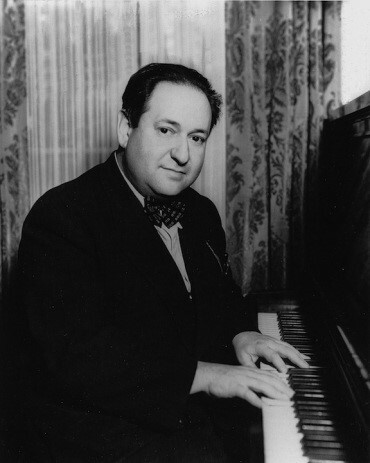 Hugo Friedhofer, one of Hollywood’s most prolific film composers and orchestrators who had worked with Korngold on several movies, remarked, “He had a fantastic way of playing the piano with an orchestral style, so you could almost sense what he was hearing in the orchestra.” Thankfully, Korngold did record a few of his own piano works, namely two of the Sieben Märchenbilder and one movement each from the first and second sonatas. These recordings provide us with a real view of not only the pianism of the composer, but also of the approach to piano performance typical of the late 19th and early 20th centuries. Friedhofer’s observation confirms what any astute listener of Korngold’s music has known all along: namely, that the composer did not distinguish between his works for the concert hall, opera house or film. All of his music was composed with the same depth of emotion, sense of drama and attention to form and detail. A Korngold film score can be performed in its entirety as a complete piece of music. Such was my first experience encountering Korngold’s works. I had the privilege of performing as piano soloist in his film score Between Two Worlds with John Mauceri conducting the Berlin Radio Symphony Orchestra. Some months previously, I had been the soloist with the Hollywood Bowl Orchestra and had my first rehearsal in Los Angeles at the Warner Brothers Studios on the same soundstage on which Korngold had conducted his movie soundtracks. In 1997, I was one of the performers in the official Korngold centenary concert in the composer’s native Vienna. The composer was a victim of anti-semitism in death as well as in life: During a rehearsal for the concert, I discovered at the end of my score that a copyist from the 1930’s had written “Erich Wolfgang Kornfeld“, one of several deliberate attempts at defacing the composer’s name often encountered in original editions of his music composed during his period in Vienna. With a thick pen, I promptly crossed out the offending slur, and wrote KORNGOLD!, my humble attempt at correcting an affront committed some 65 years earlier. As I reflect on Korngold’s life and work on the day of the 120th anniversary of his birth (and 2017 also being the 60th anniversary of his death), it is wonderful to see his music enjoying a well deserved, long overdue renaissance. His works are being heard in concerts all over the world. The United States Postal Service honored him by putting his portrait on a postage stamp. Yet in 1957, the year of his death, it seemed as if Korngold would lapse into obscurity. The atonalists were the composers of the day and they debunked him as being too tonal, melodic, old fashioned. Korngold never lost the inner child in himself. His fertile imagination and individual style, so strongly evident in childhood, remained so through his whole life; he did not give into the ‘isms’ of his time-serialism, atonalism. Korngold’s beautiful music, composed in his own voice, embraces, inspires and ennobles the human spirit. In the final analysis, this is all that really matters.